2014 is winding down, and so it’s that time of year again to do those retrospective looks at the last twelve months of gaming. It’s been a year when a new generation of consoles (PS4 and Xbox One) began to come into their own, even as remasters seemed to dominate while eagerly anticipated titles were pushed off until 2015. Those who held onto their PS3s and Xbox 360s may have been glad they did so, and Nintendo owners with the Wii U rejoiced as their console of choice provided them with a steady stream of choice games that weren’t delayed another year. Handhelds had their share of great games as well, with the Playstation Vita getting a steady diet of RPGs and the Nintendo 3DS getting a nice variety of titles to choose from. For myself personally, things came into play that allowed me to experience beyond my PS3 and PC, as I got to indulge myself by becoming the happy owner of a PS4, Vita, Wii U, and 3DS (Sorry, Microsoft fans- haven’t moved onto the Xbox One or even the Xbox 360 yet. Maybe in time. If I can figure out where to put them…). This expanded my own gaming opportunities, although my coming into the new platforms came late in the year, so there are plenty of blind spots beyond the Sony consoles. Some are games I just didn’t get to play (Danganroppa and its sequel on the Vita, Mario Kart, Super Smash Bros, and Captain Toad on the Wii U) and others I just didn’t have time to finish yet (among them Far Cry 4, Bravely Default, inFamous Second Son, Persona Q: Shadow of the Labyrinth, and the remastered version of GTA V). So sadly there will be some titles not making my top 10 list that may have been contenders. Fortunately, I did get to play plenty of games where I could include them in my choices for my personal top ten list of the year. Before I get into my picks for my personal top 10 for 2014, I’m going to touch on my honorable mentions and my disappointments. While most of the games I played over the past year were enjoyable, there were some definite low points. The Amazing Spider-Man 2 gave us yet another reason to avoid video game tie-ins to movies. NAtURAL DOCtRINE looked like a promising SRPG, only to deliver a mediocre story, overcomplicated controls, and a difficulty level that was never fair and never fun, nor consistent, making it my most frustrating game of 2014 and earns my nod as the worst game I’ve played in 2014. Enemy Front also fell short as a World War 2 based shooter, with some shoddy controls and poor AI. There were plenty of middle of the road games- those that had moments of enjoyment in them but ultimately fell short of their promise. Among these were the reboot of Thief, Bound by Flame, Murdered: Soul Suspect, Sniper Elite III, and LittleBigPlanet 3. But one of my biggest disappointments for 2014 was also one of the most hyped and anticipated titles for the year, a little online shooter by a little developer named Bungie. This, of course, was Destiny. Destiny is not a bad game. Let me get that out up front. But Bungie promised us an epic sci-fi experience, and instead delivered a standard, albeit well-done, shooter. If you’re looking for a game in which you shoot lots (and lots and lots and lots) of enemies, Destiny is right up your alley. Those looking for a loot fest akin to Borderlands may be disappointed, and those looking for some decent story to go with their shooting may also come away unsatisfied. Making things even worse was no in-game matchmaking for raids (you had to join a clan online out of the game) and including most of the story on Grimoire cards that also weren’t accessible in the game. Once you hit the level cap of 20 you needed to equip items with Light in order to level up further, leading to a lot of grinding that wasn’t a lot of fun to do, considering that it could be difficult to find the necessary items to aid you in your quest to level higher. The first expansion The Dark Below really didn’t expand anything, as it simply gave you the same enemies to shoot all over, did not vary gameplay, and gave no new areas to explore. While the game does have its fans, many gave up on the game, trading it in and moving on to other things. Not a good sign for a franchise that is purported to have a 10 year plan in mind. Horror made a come back in October with two games hitting consoles and the PC. Creative assembly and SEGA delivered on a great Alien experience with Alien: Isolation, and Shinji Mikami of Resident Evil fame made his return to horror with the twisted title The Evil Within. While both games had their faults, both did deliver in atmosphere and some decent scares. Alien: Isolation perfectly recreated the Alien universe from the films, delivering that retro futuristic look from the 70s and getting every sound just right, from the beeping of the motion tracker to the hissing of vents opening up. The music was lifted right from the film franchise, and Amanda Ripley made for a good character to play as. The Alien itself was the star, showing up using unpredictable patterns, making every move fraught with tension. The save system was both fitting and worked against the game, as you needed to find save stations and the possibility existed that you could be killed while saving, eliminating any progress you made up until that point. A lower difficulty was later introduced to the game, but how well it made things easier to make it through the game’s 18 chapters remains to be seen. The Evil Within, coming from Tango Gameworks and Bethesda, also dripped with creepy atmosphere, and gave you foes that you needed to run from rather than tackle them, as doing so led to a quite unpleasant and often gruesome death. The game’s story gets quite convoluted and gameplay gets more action heavy towards the end, but it holds enough promise should the developers decided to give us a sequel in the future. Forthcoming DLC will give us the chance to not only play a couple more story missions with a different character but will give us challenge levels with one of the game’s villains. It was nice to see horror return to consoles, and both games sold reasonably well. Now we just have to wait for the new Silent Hill game. Now on to my personal top 10 games of the year. Each game listed will have the system I played it on in parentheses behind it along with my score for the game. So. Here. We. Go. Ubisoft finally delivered their open world action game to us in May after having been delayed from the previous year. The revenge tale featuring hacker Aiden Pearce wasn’t anything new, but the gameplay was often fun and gave you plenty of options in which to deal with the bad guys. Chicago and its surrounding towns proved to be a nice playground with some nice diversions to the main story line. 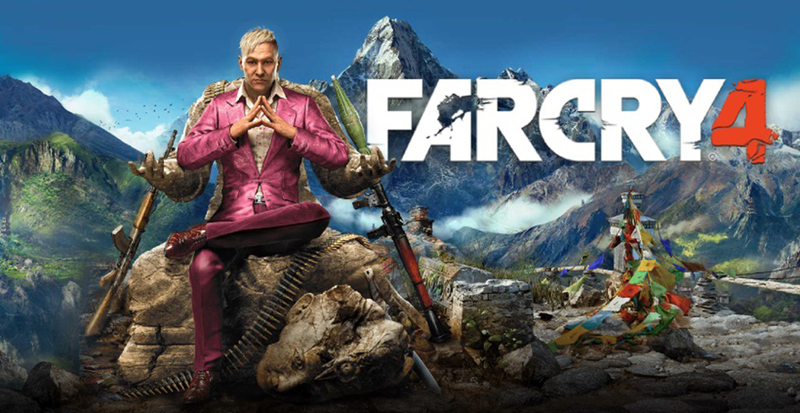 The game wasn’t perfect, but a great cast of supporting characters made it an enjoyable experience for me, and I can only hope that Ubisoft will improve even more on the inevitable sequel. Everybody’s favorite Umbra Witch is back from Platinum Games with some help from Nintendo. The Devil May Cry like action is ramped up with a great soundtrack, gorgeous visuals,and fun gameplay. The humor from the first game is still intact, along with the nonsensical story. But even with those faults this is a blast to play. You can’t help but smile as you pummel an array of demons and monsters with Bayonetta’s abilities. This music-based game with RPG elements proved to be a joy to play, with a large number of tracks spanning the history of the Final Fantasy franchise. The different variety of challenges keeps gameplay fun and fresh, and will keep you on your toes to keep pace with the faster numbers. Clementine is back with some new adventures and companions in the Walking Dead universe. The episodes really made it feel like your choices had incredible weight with some shocking consequences. Stellar voice acting helped this as well, making this a must-play for fans of the series. Telltale had another winner with The Wolf Among Us, based on Fables by Bill Willingham. Serving as a prequel to the comic series, the game followed Bigby Wolf in his role as Sheriff of Fabletown tracking down a killer. Again, a stellar voice cast lifted this up, along with some tense action and plenty of twists. Diablo III proved to be a hit for Blizzard in making the jump from the PC to consoles, and so it was only natural that when the Reaper of Souls expansion was released that consoles would get a new edition as well. New enemies, more loot, and more adventures beyond the story mode helped this gain a spot in my top 10. Its gameplay remained just as addicting for me, and just as fun. Ubisoft Montpelier delivered this charming fantasy game with rhyming dialogue and fun combat backed up by beautiful visuals and terrific music. It’s a playable fairy tale with plenty of heart, something that also propelled the studio’s other effort this year, the World War One themed Valiant Hearts: The Great War. Following the adventures of Talion, a Ranger who embarks on a quest for revenge after his family is killed, this game from Monolith and Warner Bros. Interactive merged the gameplay from Assassin’s Creed and the combat from the Batman: Arkham games to great effect. Add in the Nemesis system in which enemies remember you, and you had the makings of a fun and challenging action title which required you to use a bit of strategy along with your hacking and slashing. It was time to die again in this follow-up to From Software’s 2011 Dark Souls. Drangleic proved to be a fun and challenging world to explore and take on fearsome foes. If you were good enough you tackled all or most of it solo, but there was no shame in utilizing the excellent co-op feature to request a little help now and then. Of course, that also gave you the opportunity to give help to others, and, with any luck, that spirit of cooperation helped you to live to fight another day. 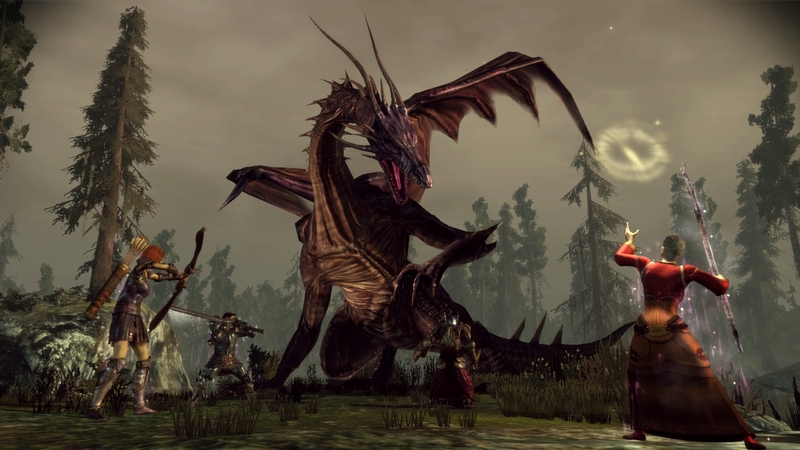 Bioware followed up its last fantasy outing, the much less than enthusiastically received Dragon Age II, with this epic RPG that allowed you a more action oriented take on combat or you could utilize the more strategic option, using an overhead view to slow things down and plot your way to victory. New characters meet some old favorites from the series as you take the role of Inquisitor and help save the world of Thedas. The solo campaign is a lengthy one, telling a well done story and giving you plenty of side-quests to divert your attention. And then there’s multiplayer on top of that, should you want to tackle foes with some friends. The game world is beautiful to look at, filled with plenty of detail. Voice acting and the music are also stellar, and with plenty of choices to make on your journey gives this game a high degree of replayability. The fun gameplay, deep lore, rich characters and a tale that held my interest for the 50+ hours that it took me to complete the main story line is what helped make this my Game of the Year for 2014. And there you have it, boys and girls. That’s my personal list for 2014. How does it compare to your own? Sound off if you wish in the comments below, and here’s looking forward to another great year in gaming in 2015! This article is originally written by Thomas Juretus, a writer at Leet Gamers Asia. It is republished here with permission.